Drivers in Toronto pay some of the highest premiums in the country. Urban problems such as traffic congestion, poor roads, car theft and insurance fraud add up to a heavy load for Toronto motorists. Fortunately, if you’re one of the millions of people who call Toronto home, you can use this car insurance money saving tips to lower your insurance load. 1.5 5. Drive a car that’s cheap to insure. 1.6 6. Use car insurance calculator and ask for discounts. 1.7 7. Look into accident forgiveness. 1.8 8. Don’t be afraid to be disloyal. 1.9 9. Get the proper training. This should go without saying, but a single accident or ticket can increase insurance that’s already high to begin with. That should be some pretty potent motivation to slow down and watch where you’re going. Accidents, tickets, and traffic convictions stay on your driving record for years, so ask yourself if it’s worth it before you hit the accelerator. Like any service or product, you can always find slight differences in price if you shop around. The way that Toronto car insurance premiums are calculated changes based on the carrier, so make a few calls to get some quotes. You may be surprised to find that you can save money by simply switching (or threatening to switch) providers. The easiest way to lower premiums is to increase your deductible. 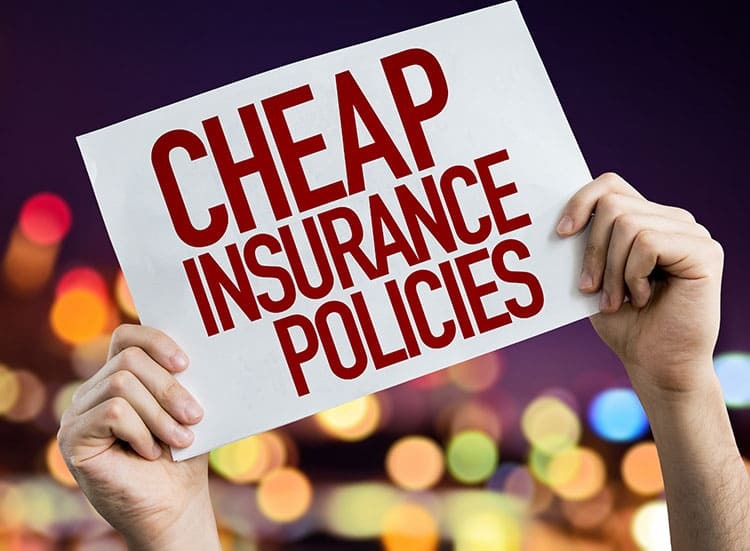 Don’t take this option lightly, though–if you ever need the insurance, you’ll be facing higher out-of-pocket expense. 5. Drive a car that’s cheap to insure. If you live in Toronto and drive a Hummer, you’re going to pay a lot for your car insurance. If you drive a Ford, you’ll pay less. Pick a car that’s affordable to insure, even if it’s not the car of your dreams. As long as it safely gets you from point A to point B, it should be good enough. 6. Use car insurance calculator and ask for discounts. Ask your insurance company if they offer discounts and then dig deep for affiliations. If you don’t drive a lot, you paid your car off early, or have a garage, you may be eligible for a discount. Insurance companies offer a number of discounts, but they may not announce these until you ask. Check to see if your company offers bundling discounts to combine home and car insurance or new products such as usage based insurance, which qualifies you immediately for discounts. 7. Look into accident forgiveness. Instead of driving in fear of a fender bender every day, look for a plan that includes accident forgiveness. That way, if you do have a small accident, your car insurance premium won’t skyrocket. 8. Don’t be afraid to be disloyal. Most people assume that they are getting the best rates possible for being a long-term customer. However, if your plan isn’t reviewed and rewritten periodically, there’s very little incentive for the insurance company to give you a deal. Make sure you shop around once in a while even if you don’t intend to switch carriers, just to make sure you’re getting the best price. If you find a lower coverage, call your current provider and ask them to meet it. 9. Get the proper training. If you’re a new driver, taking an approved course can help curb car insurance Toronto costs. New drivers are the most expensive to insure, so it’s important to get all the credentials you can to keep costs down. Even if you’re not a new driver, but you’ve taken a driving course, you should let your insurance company know and find out if there is a discount for taking it. With a little creativity, it’s easy to find ways to cut your car insurance costs. Try the ten tips above and you’re bound to find at least a small discount that’s available to you. Do your homework and get cheap car insurance that will be less painful for your wallet.